It’s the biggest thing you’ve never heard of! The gaming industry is much, much bigger [than the entire movie industries of Hollywood, Bollywood and Nollywood combined]. “eSports” refer to competition facilitated by electronic systems (such as, for example, video games). There are a number of hugely popular tournaments (e.g. The International, League of Legends World Championship, Evolution Championship Series, Intel Extreme Masters, etc.) with live broadcasts and large amounts of prize money. eSports are gaining traction around the world, but is most popular in South Korea. eSports generated revenues of $325 million in 2015. The global eSports audience in 2015 reached 226 million. The Money Show’s Bruce Whitfield interviewed Gareth Woods, MD at eSports marketing agency Good Game Well Played for his “The Science Of” feature. Whitfield also spoke to Nick Holden. Holden is the co-owner of African Cyber Gaming League, an organisation dedicated to growing eSports in South Africa. Listen to the interviews in the audio below (and/or scroll down for more quotes from it). ‘eSports’ is competitive video gaming. 40% of eSports viewers don’t play the game they’re watching. In 2017 we’re hitting R8 million in total prize pools. There’s nothing like watching ‘Counter Strike’ online. The best players in the world are in their early 20s. We do a lot of work with people such as Jack Parow and Ryan Kankowski. Brands are sponsoring the prize pools and events. 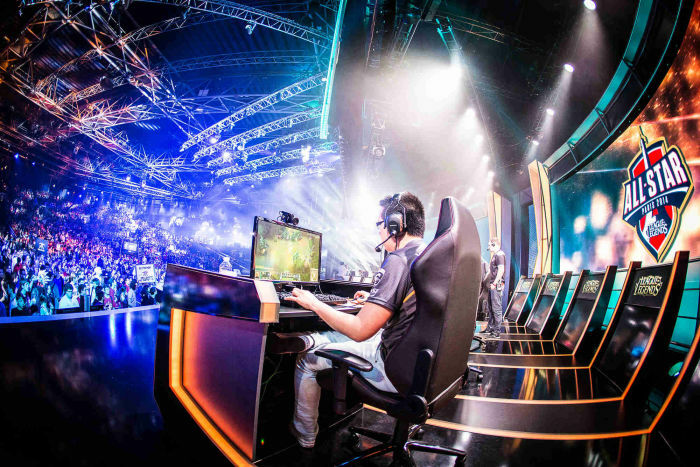 eSports are more than just a game now and may even be an Olympic sport by 2024.